Bluetooth, el nuevo y ligero controlador RX1250 comunica con la Smart Antenna para proporcionar posicionamiento RTK con precisión centimétrica. GLONASS). Más satélites significa más productividad, preicisón y fiabilidad. para soportar futuras señales GPS L5 y Galileo. Cable free, exceptionally lightweight and fully compatible with Leica SmartStation, the new RTK GPS Leica SmartRover presents itself as the ideal tool for modern surveying. SmartRover is the lightest cable-free RTK GPS system in the world and is fully compatible with Leica SmartStation, the world’s first total station with integrated GPS. Use SmartStation to position your total station and then transfer the SmartAntenna and continue RTK GPS surveying with the SmartRover. Enjoy outstanding performance at a fraction of the weight of current all-on-the-pole systems. Reduce operator fatigue and maximize productivity. Consisting of the Leica SmartAntenna ATX1230 and the Leica RX1250 Controller, the Leica SmartRover delivers complete cable free operation to provide maximum flexibility with fewer components. Weighing only 2.8 kg, the Leica SmartRover reduces operator fatigue and maximizes productivity. 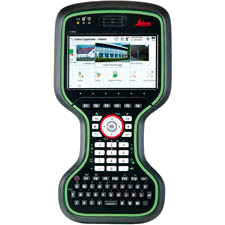 The new Leica RX1250 Controller includes Windows CE and BluetoothTM wireless technologies. This facilitates direct contact to the office via the Internet to upload/download data to enhance survey productivity. With its integrated CF-card, data can be seamlessly exchanged with Leica System 1200 instruments to provide full X-Function compatibility. 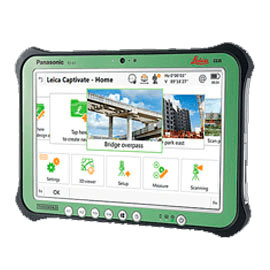 Furthermore, Leica SmartRover includes the proven SmartTrack and SmartCheck technologies that deliver the best GPS results with speed and reliability. Leica SmartRover is the perfect companion for demanding tasks. Add additional GLONASS satellites to the world’s best-performing GPS systems. Reduce downtime and benefit from higher productivity – in particular in urban canyons and where trees block the number of visible GPS satellites. Leica Geosystems GPS solutions proven reliability rises to the next level with full GNSS support to deliver unmatched results with SmartTrack+ and SmartCheck+. SmartTrack+. Flexibilidad absoluta para utilizar con SmartPole, SmartStation o SmartRover.